Dr. Dara Kass was born and raised in Brooklyn, New York. 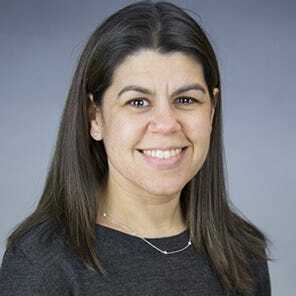 She completed her residency training at SUNY Downstate/ Kings County Hospital and is currently the Director of Undergraduate Medical Education at NYU/ Bellevue Hospital. She is active nationally in many medical organziations. Her academic passions are student education and achieving a sense of work/life balance. Dr. Kass is also the founder and CEO of FemInEM, the only open access mentorship and professional development site for women in Emergency Medicine. FemInEM has published contributions from scores of women and men in medicine and hopes to serve as a forum for the advancement of women in EM. FemInEM (and its associated twitter hashtag @feminemtweets) are changing the conversation around women in medicine, with viewers in over 65 countries and a high return rate of readers and contributors. At home, Dr. Kass is the proud mother of 3 beautiful children, Hannah, Charlie and Sam, who she is raising with the help of her non-medical husband, Michael, and the village of her own design. Learn more about FemInEM at www.feminem.org. Follow Dr. Kass on Twitter.